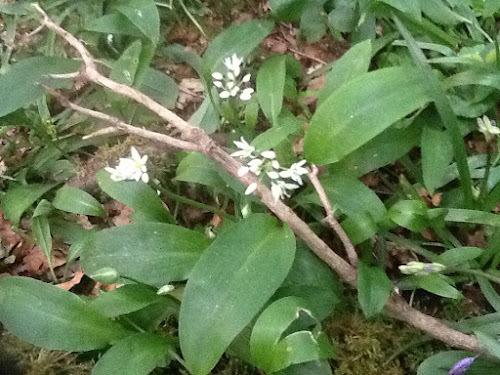 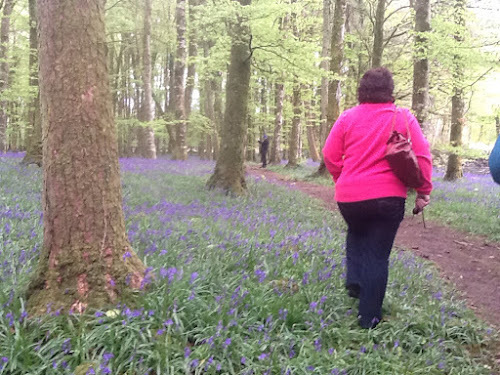 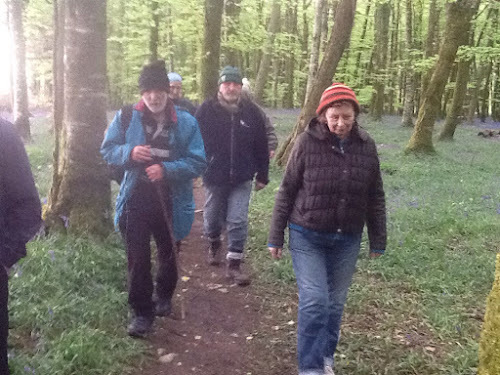 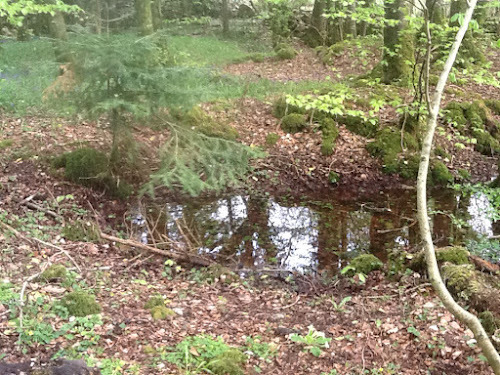 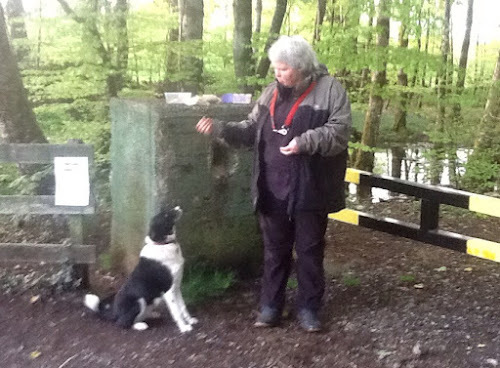 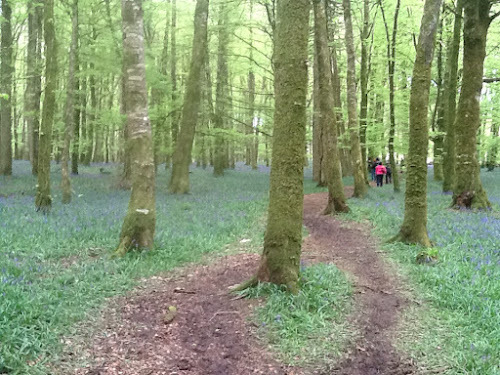 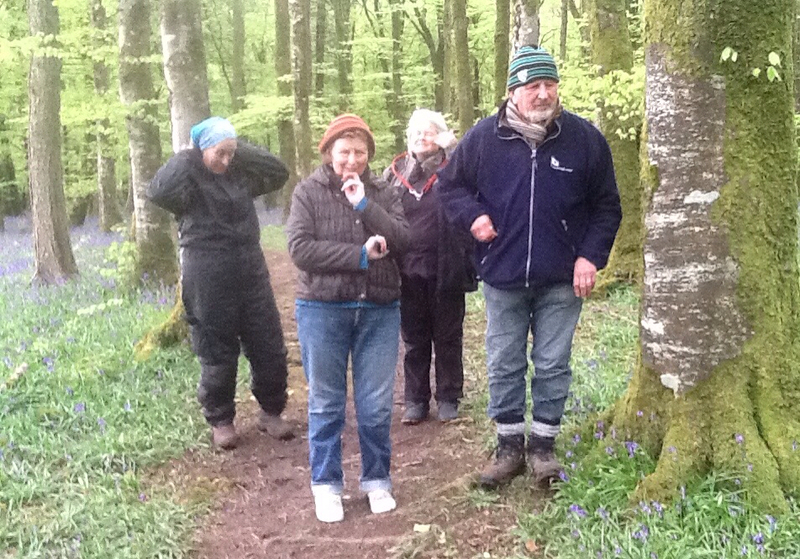 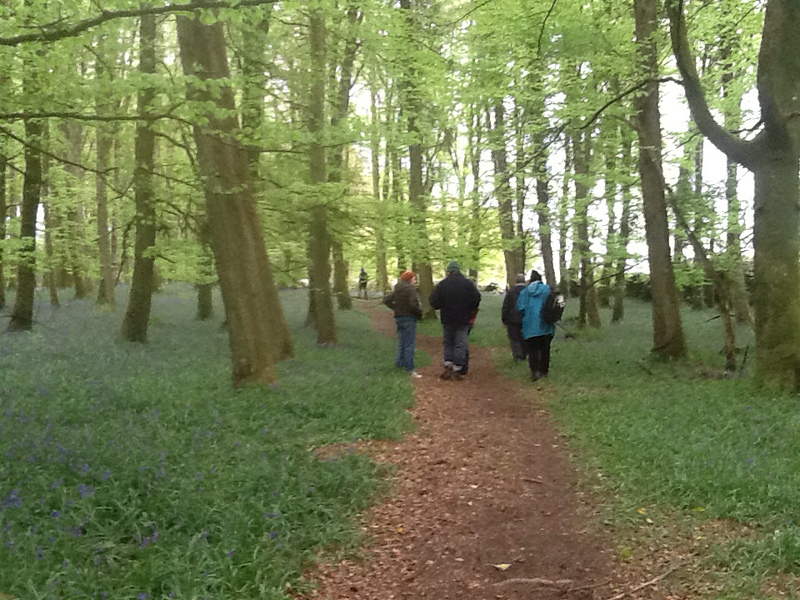 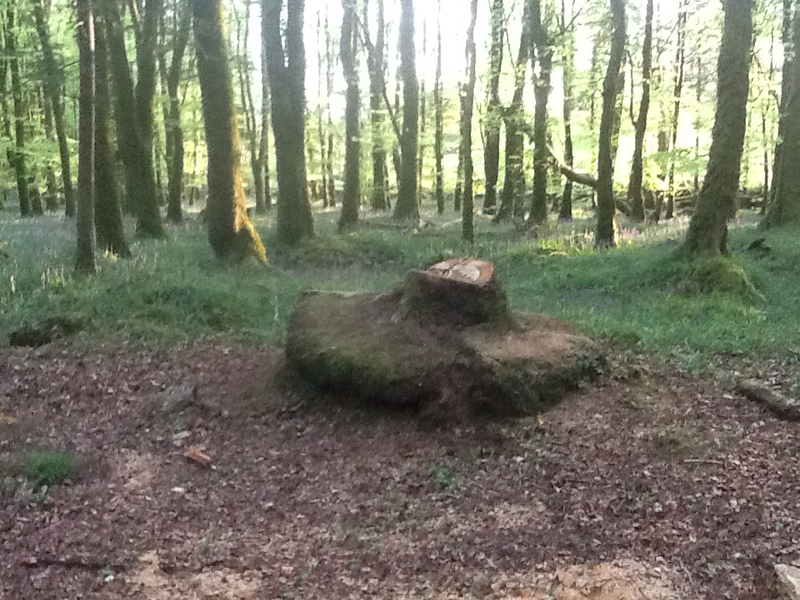 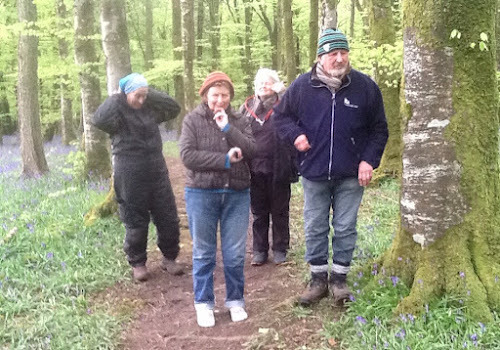 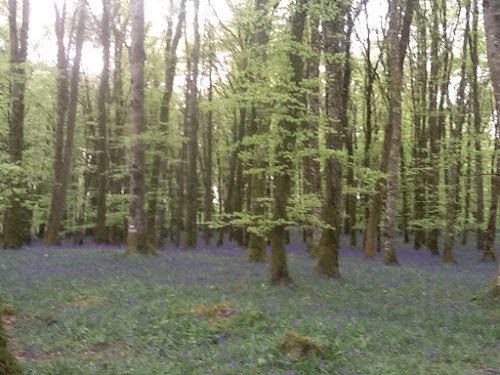 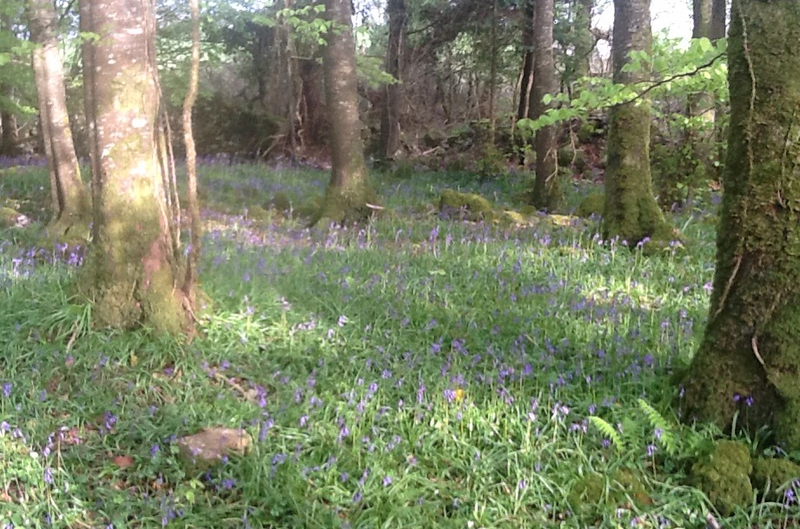 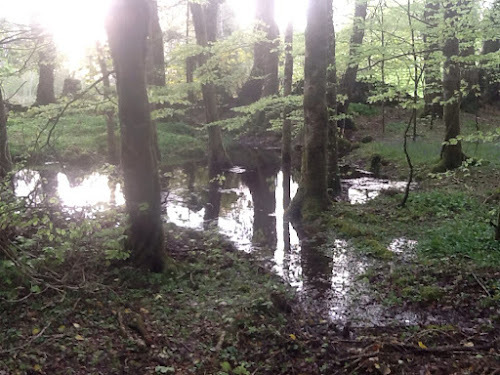 7th May, 2015, it's Poetry Day in Ireland, so we did an extra Bards In The Woods, on. 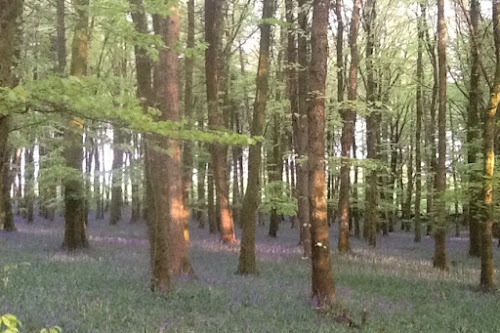 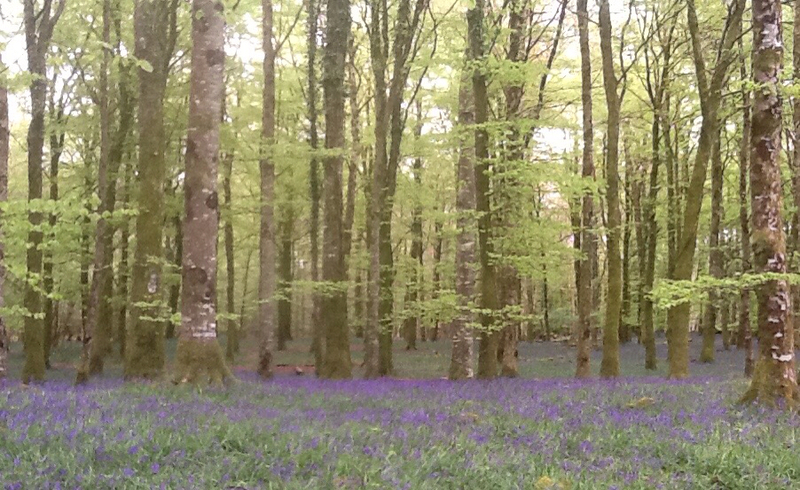 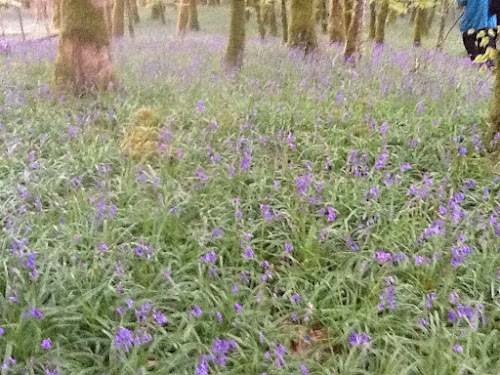 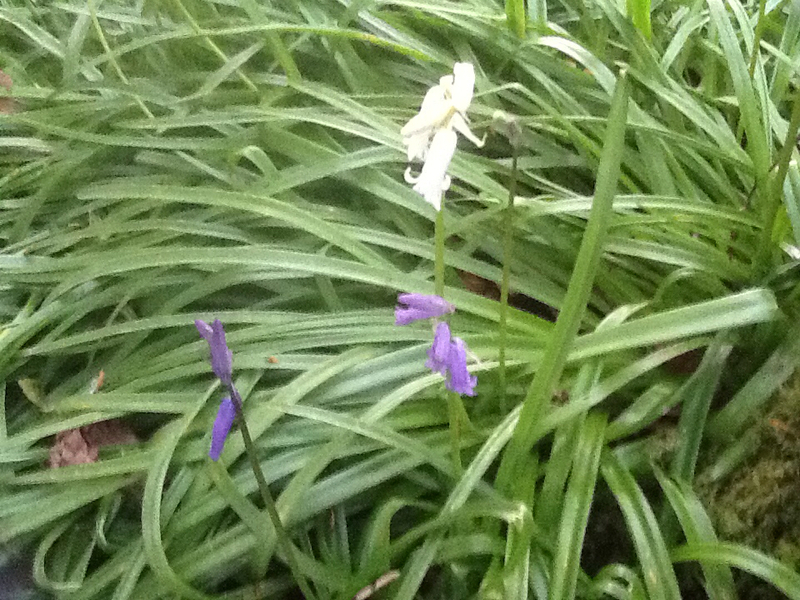 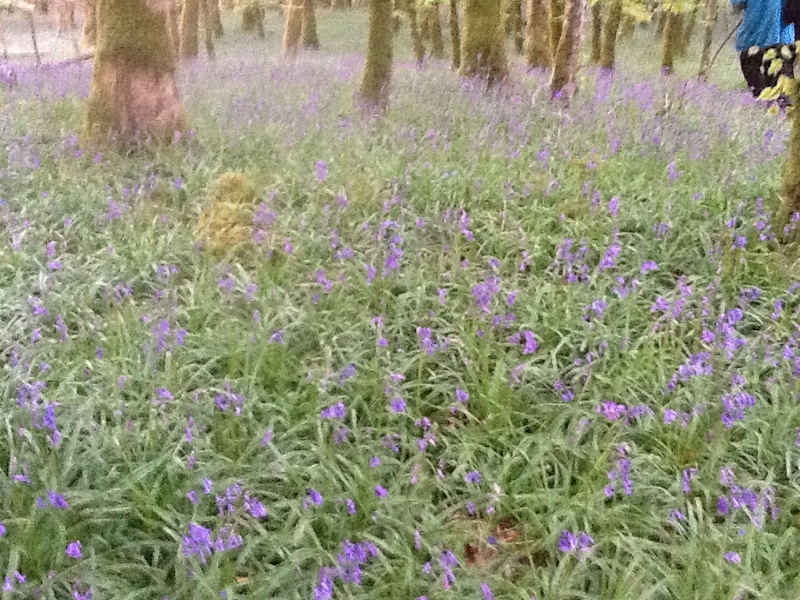 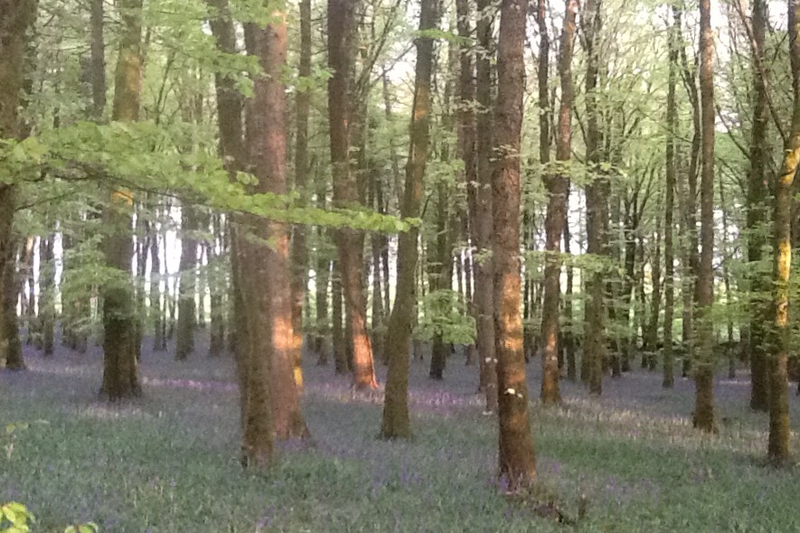 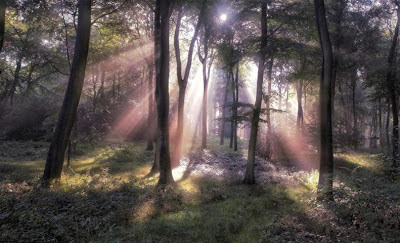 Thursday evening among the Bluebells of Derren Woods. though it was only at a couple of spots they bothered us. 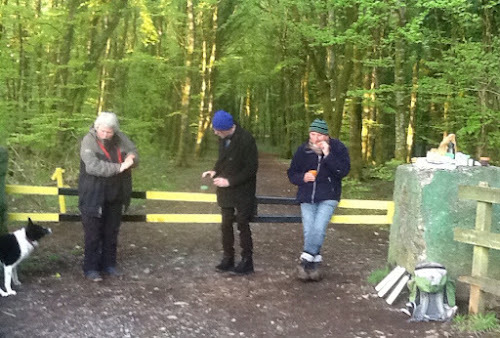 I think it was 8 of us, and unlike last Sunday, all via Facebook this time and none via Poetry Ireland. ... and read them, and they were good !!! There was something very peaceful about being out on a midweek evening, and into the darkening dusk, though often on Sunday we continue into dusk too. 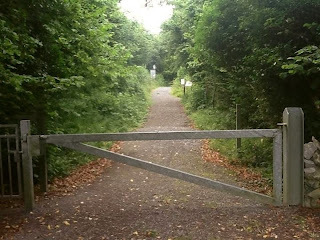 Overall, a different feeling though.